Renault has met its financial objectives under the current plan, called Drive the Change. Revenues for the group increased to 51.2 billion euros last year from 39 billion euros in 2010 and overall operating margin rose to 6.4 percent from 2.8 percent during the same period. PARIS -- Renault Group CEO Carlos Ghosn will present the French automaker’s next strategic plan on Friday in an automotive landscape that has changed dramatically since 2011, when the current plan was unveiled. National and local emissions standards continue to tighten, favoring expensive hybrid and full-electric powertrains over diesel engines, a staple of Renault’s lineup. Automakers are spending billions to acquire complex autonomous-vehicle technology through partnerships and acquisitions. Car-sharing and other ambitious mobility plans could upend the traditional sales and ownership model. Renault Group has changed, too. The company’s unprofitable Russian subsidiary, AvtoVAZ, which makes the Lada brand, is now fully integrated into its balance sheet. Renault’s center of gravity is shifting away from Europe toward a more international approach in developing or rebounding markets, including Brazil, China, India, Iran and Russia. It now has a fledgling sports car brand in Alpine. Renault has met its financial objectives under the current plan, called Drive the Change. Revenues for the group, which also includes value brand Dacia and Korea-based Renault-Samsung, increased to 51.2 billion euros last year from 39 billion euros in 2010 and overall operating margin rose to 6.4 percent from 2.8 percent during the same period. On the sales side, Renault has become the No. 2 brand in Europe after Volkswagen, and the group set a global record in 2016, with 3.18 million vehicles sold. However, electric vehicles have not yet had the impact that Ghosn predicted. Some components of the new plan have already been laid out. Speaking in February at Renault’s 2016 financial results conference, Ghosn said the company was aiming for 70 billion euros in annual revenue by 2022, with an operating margin of 7 percent. Ronan Noizet, a senior automotive analyst at IHS Markit, said he would like to see more details on the operating margin target, noting that the 7 percent goal was not a significant step above last year’s results. “Should we expect significant investments in electrification, autonomous and new mobilities, which would erode the operational margin progress?” he asked. The path for AvtoVAZ is relatively clear. A turnaround plan approved last December calls for the Lada maker to be profitable by 2018 and have a 5 percent operating margin by 2020. That will be accomplished by increasing exports, transforming the brand’s image by improving quality and customer satisfaction, localizing the supply chain, and a full renewal of the lineup using more alliance components and platforms. Lada’s product schedule calls for two new models by 2019, and 10 more by 2026. It’s also likely that Renault’s plan will have much in common with those of Japanese alliance partners Mitsubishi and Nissan, which are to be unveiled on Oct. 16 and Oct. 18, respectively. Last month, Ghosn announced an overall strategic plan for the alliance through 2022, in which he set forth objectives that will require a higher level of integration among the three partners. "The purpose of Alliance 2022 is to enhance collaboration and to increase convergence between the member companies,” Ghosn said. The key elements of the alliance plan include doubling annual synergies to 10 billion euros by the end of the plan, producing 9 million vehicles across the alliance on four common platforms, increasing the number of vehicles using shared powertrains to 75 percent from 33 percent, and launching 12 new battery-electric vehicles with common platforms and components. Among those vehicles will be a full-electric Renault Kwid for the Chinese market in collaboration with Dongfeng. Analysts will be looking for Renault to reassert its leadership in electric vehicles, a still-tiny market that Renault has largely dominated in Europe with the Zoe. In recent months, other major automakers have announced plans to invest billions to electrify most or all of their fleets in the next decade. Automakers have also suggested that the cost of mass producing EVs will mean lower profits. Renault must also plan for the decline of diesel under new European emissions standards. As recently as 2012, 75 percent of Renault’s European sales were diesel, but that has fallen to a little more than 50 percent, in line with market trends. Finally, there is also the question of who will follow Ghosn at the helm of Renault, a post he has held since 2005. Earlier this year, he named Hiroto Saikawa to succeed him as CEO of Nissan, saying he wanted to concentrate on running the alliance and help with the integration of Mitsubishi. “The situation about the future of Renault and Nissan goes hand in hand with Carlos Ghosn's succession,” Noizet said. 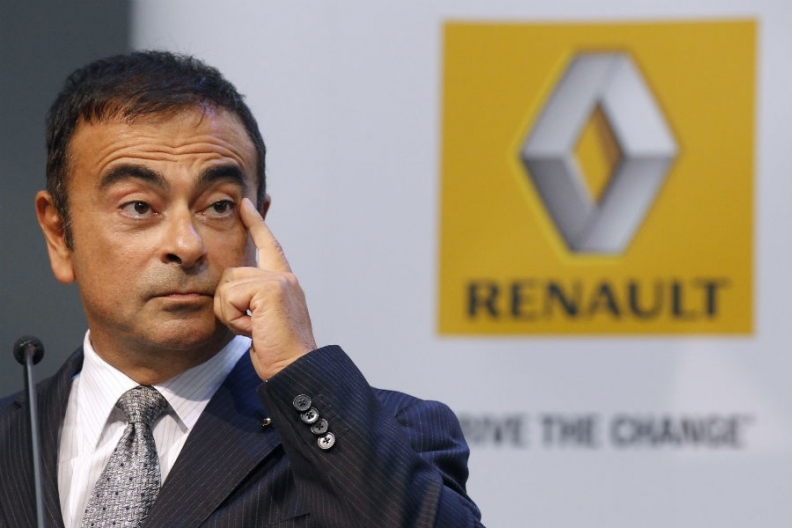 Ghosn’s contract at Renault ends next year, though no clear candidate has emerged. Speculation in the French media has centered on Thierry Bollore, Renault’s chief competitive officer, and Jean-Christoph Kugler, chairman of the European region.